To be honest, when I first saw the news that adidas had scrapped all of their silos and replaced them with the X and ACE, I had my expectations extremely high. I figured adidas must have some great boots up their sleeve if they can replace their popular boots. Once I received the X 15.1 in the mail, I opened them almost as soon as the mail man set the package on my door step. It felt like a day I had been waiting on for a long, long time. Out of the box, the adidas X is a little stiff but still feels like a special cleat in hand with some texturing to add grip and the brand new techfit collar. Now that the boots have been unboxed and I have been able to have them in hand, it’s time to move on to seeing how I felt about them after testing. It took some time for me to really like the look of the X. The extremely bright solar yellow upper looked fine for me from the get go, but I was not a fan of the X-CAGE when I first saw the boots. After some time and getting to experience them more, I started to appreciate the uniqueness of the look. When on feet, they really stick out on the field but in a good way. 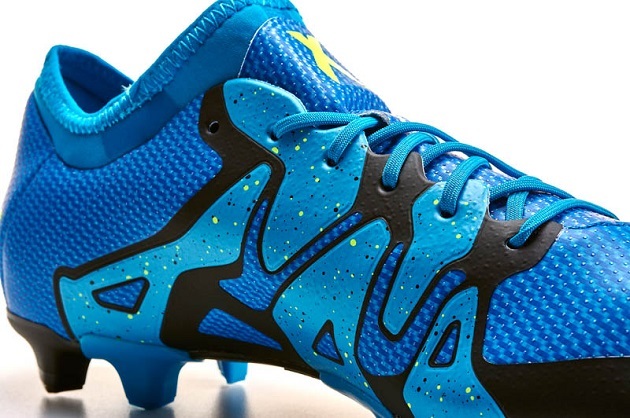 The X is a fantastic boot for players that really want something flashy. Something I loved was how the adidas branding was larger and in black on the heel. It really looks nice and it is a nice touch from the three stripes. A unique look from adidas, but it really does work for the X line. Made for those who want to cause chaos on the field, the adidas X is designed to give every player the ultimate fit and technology to give that extra competitive edge to dominate on the field. The upper found on the X is named X-SKIN synthetic. When I first put the cleats on feet, the upper was slightly stiff but only after 2 sessions of an hour and half each, the X-SKIN became super soft. 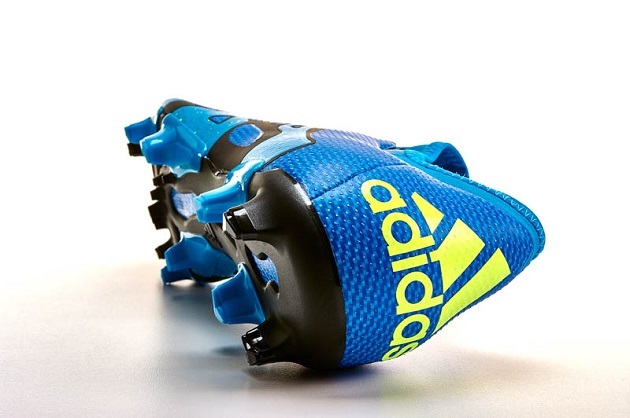 A nice touch on top of the synthetic is what adidas is calling Non-stop Grip or NSG. It is made up of tiny raised bumps that are designed to enhance grip in all weather conditions, much like Nike’s ACC coating. I was actually able to play in some rainy weather one day and I actually noticed the grip while playing. Now, I don’t want people thinking that it changed the grip completely but it helped enough that I was able to notice it when controlling the ball. Oddly enough, the NSG is even found on the heel. The X-CAGE is thin and allows you to have more stability when making sharp cuts during a match. The X-CAGE is much thinner than what online photos give off. It does not get in the way whatsoever. 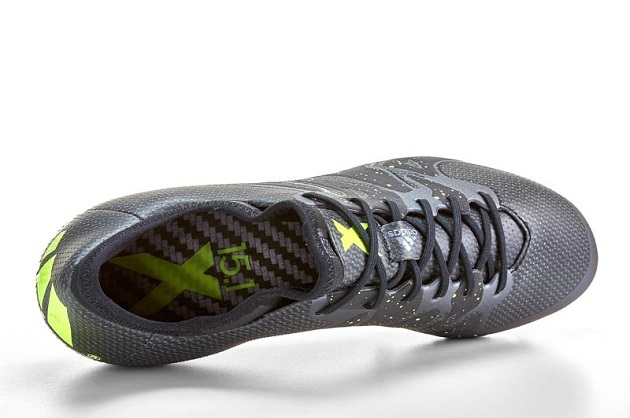 Moving up the boot, the techfit collar is one of my favorite parts of the X 15.1. The sock-like fit is more comfortable than Nike’s Dynamic Fit Collar. It fits snuggly right below your ankle and wraps your foot like a tight-fitting ankle sock. It is a little tricky to get in the boot at first but it becomes easier with some practice. The outsole is a mix that can be used on both FG and AG surfaces. 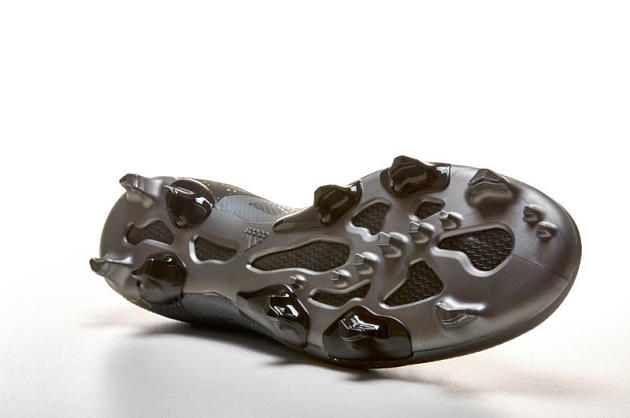 The X-CLAW stud pattern had raised a lot of questions if it is suitable for AG as it has some F50-like studs plus some extra smaller studs under the forefoot. I tested on both firm natural grass and an artificial grass field and I had no problems on either. The stud pattern works well on both surfaces and I felt comfortable on both. Overall, the performance is outstanding on the X, I had no problems with comfort or heel slippage, and the upper gave me a nice touch on the ball. Now this is an area that completely surprised me. The comfort on the X is incredible. The X-CAGE really helps lock your foot down to the soleplate and keeps you locked in for a great ride. The upper is a bit thicker than most think and has some slight padding in the toe box area to give a nice personal fit. The heel counter is internal and is padded on the inside to help protect your foot from hard tackles. I was very impressed with the comfort of the X and I think it is something a lot of people will be willing to sacrifice a lighter weight boot for. With a $220 price tag on these boots, you are paying about the same you would pay for a top model from adidas in the past. With the technology packed into the adidas revolution boot, I would recommend picking this boot up if you could find it below retail price. 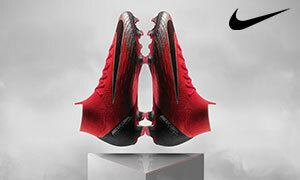 Lucky for you, you can pick up a pair for only 197.99 on SoccerPro. 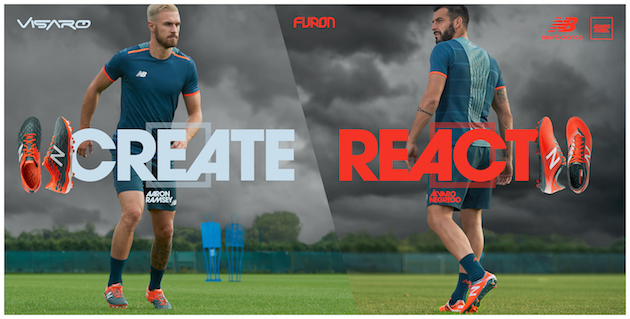 With adidas making the switch from 4 silos down to 2, a lot more high profile players are wearing the boot. Bayern Munich players David Alaba and Thomas Muller have been wearing the X for sometime now. 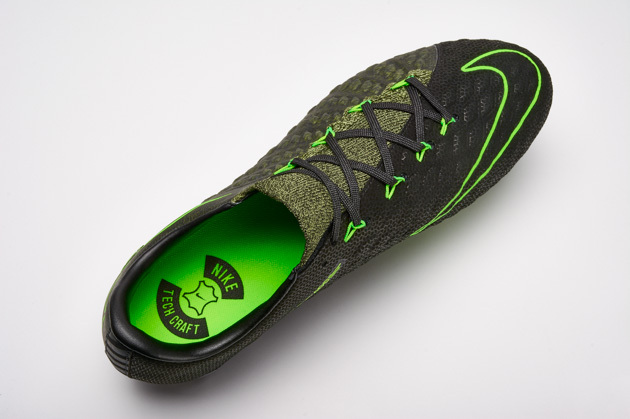 Other players who sport the boot include Real Madrid star Gareth Bale and Barcelona’s Luis Suarez, among others. The X truly changed the way we look at how players play. Instead of dividing players into a boot per position, adidas decided to make it all about how they actually play. The Chaos silo is something special from adidas and everyone who is upset about the old adidas models being scrapped, you have to try these boots. The fit and performance is one to be experienced. Want a pair for yourself? 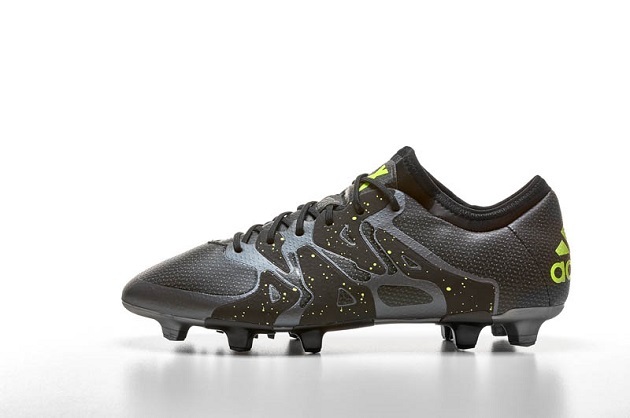 Head over and check out the entire adidas X line up at SoccerPro.com today! Outstanding review. I’ve found the past adidas releases to be a bit narrow. 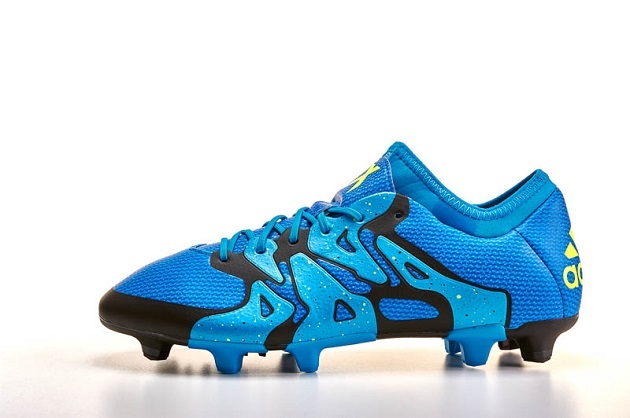 From just looking at these I have a feeling they’re wider than the previous releases like the Messi boots. 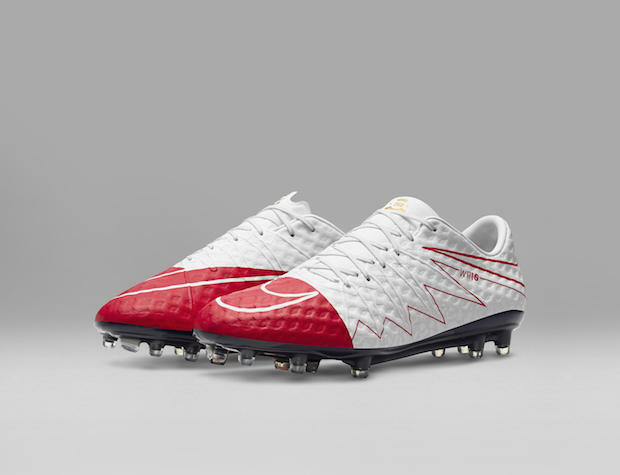 They almost look as comfortable as tiempos. Would you agree? United fan here btw lol. Sorry for the late response Carlington. I would agree they are slightly wider than past adidas releases, but till fit a little tight in the mid foot area thanks to the X-Cage. I do not think anything touches the comfort of the Tiempos however. We can still be cool even if we support rivals lol. How durable are the boots ??? ?